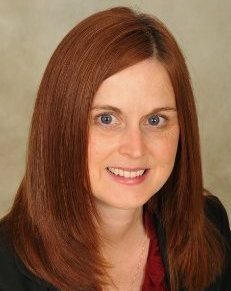 Menomonee Falls, WI - Mary Sticha, Automotive Fleet and Leasing Association (AFLA) president, has announced the 2018 Annual AFLA President’s Award winners. “I am honored to have the opportunity to recognize and thank these individuals who have put a great deal of time and talent into governing AFLA,” said Sticha. Michael Bieger: Michael Bieger’s service to the AFLA Board of Directors could be summed up in one word - strategy. Michael has helped shape our board discussions, particularly in strategic planning, which we see paying off today. Michael has been a key player in our globalization initiative, has spearheaded the Mini-MBA program and will be stepping up as the new education task force chair to shape the future of our in person and online spring forum. Terry Langness: Terry has been one of AFLA’s key volunteers for a generation of service. He has not only led the charge on AFLA’s annual golf tournament but has also been instrumental in growing AFLA’s sponsorship support. Even after his recent retirement, Terry has continued to be engaged with AFLA to help the organization succeed. Debbie Struna: Debbie Struna has exemplified what it means to be a volunteer for AFLA. Not only has Debbie served on the Conference Task Force and the Women in Fleet Management Task Force, but she never misses a meeting, always volunteering to assist wherever needed with timely and thorough follow-through on all of her commitments to AFLA and the task forces she serves on. Grant Waddell: Grant has served as chair of the AFLA membership task force for the past three years, and he has decided now is the right time to pass the torch. Under Grant’s leadership we have seen our corporate buyer membership grow from 101 fleet managers representing 89 fleets in 2016 to 132 fleet managers representing 109 fleets today. Grant and the entire membership task force were the driving force behind AFLA’s continued growth these past three years. Based in Menomonee Falls, Wisconsin, AFLA promotes growth, expansion and professionalism within the fleet industry by providing education, research, technical standards, representation and advancement of member interests. AFLA has more than 550 members representing all industry segments, including fleet managers and sourcing professionals, fleet management company professionals, auto manufacturers and dealers, remarketers, maintenance and repair companies and many other specialized suppliers. AFLA’s annual conference attracts more than 550 attendees. The organization also hosts educational webinars, publishes whitepapers and offers opportunities for members to network with key leaders throughout the fleet industry. For more information, visit www.afla.org or find us on Facebook, LinkedIn and Twitter.